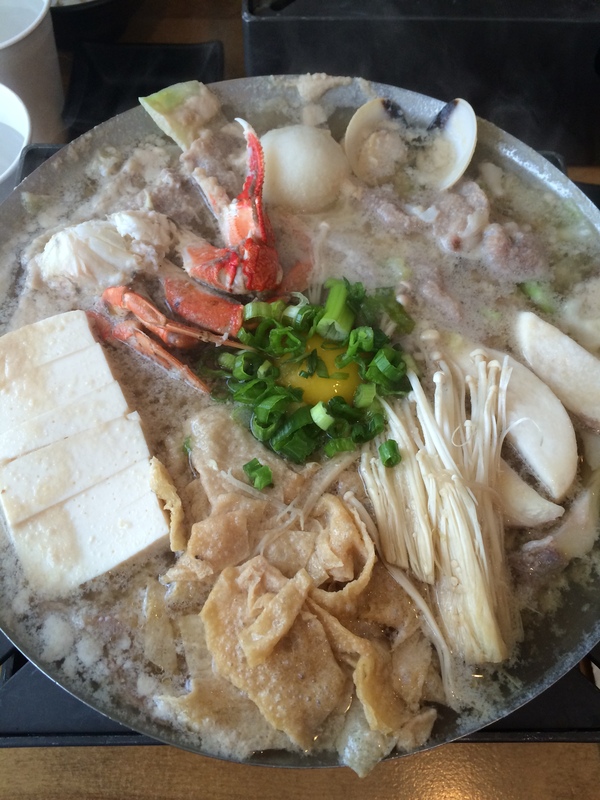 The Boiling Point restaurants are an individual Hot Pot restaurant. 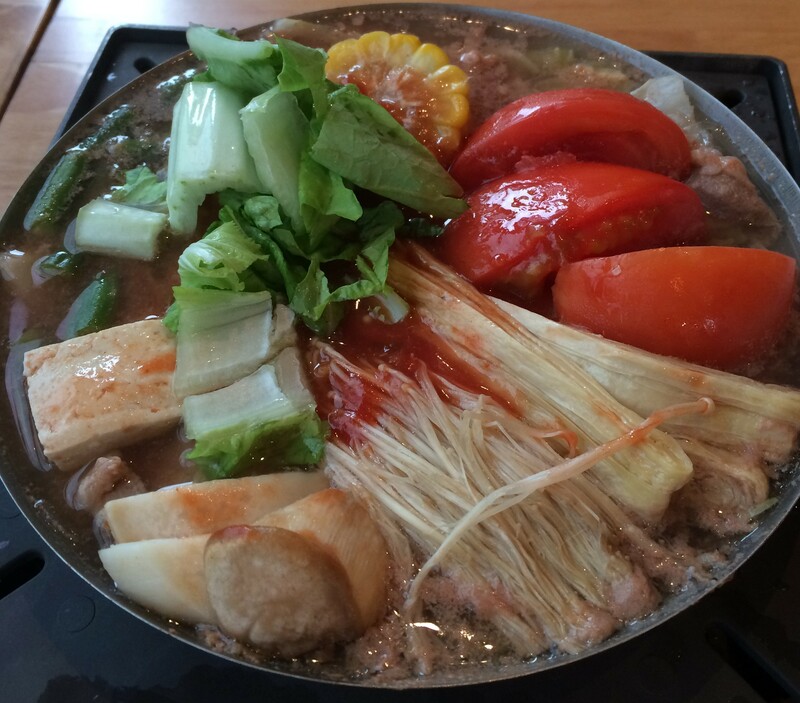 You order a Hot Pot, and there are all the ingredients inside already. You just wait until it cooks to your doneness, and then eat. A real nice place for a warm pot of soup and ingredients. Here is the Seafood Tofu. 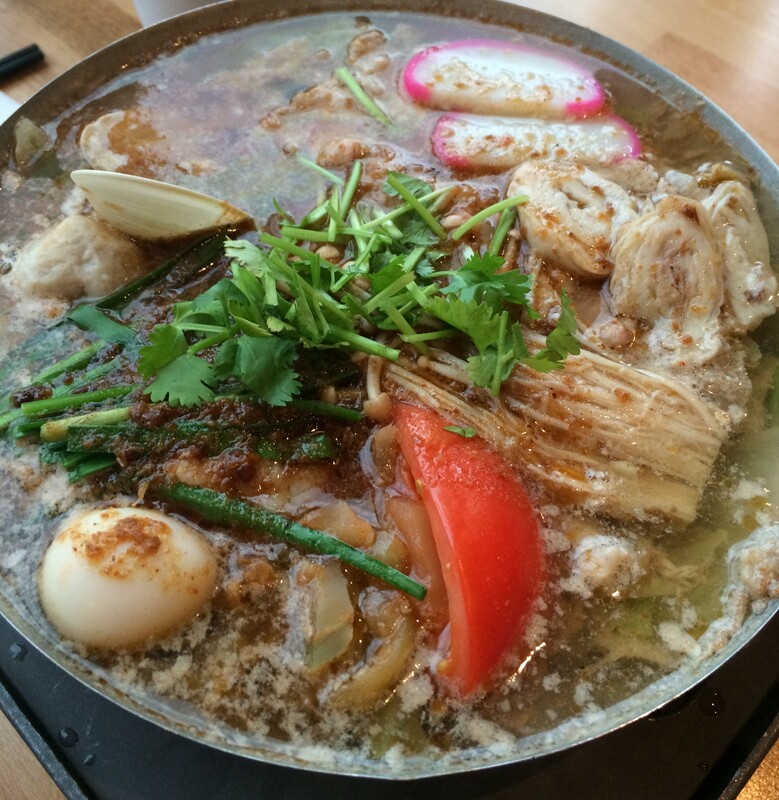 Very mild, but the broth is nice and the flavor is great. 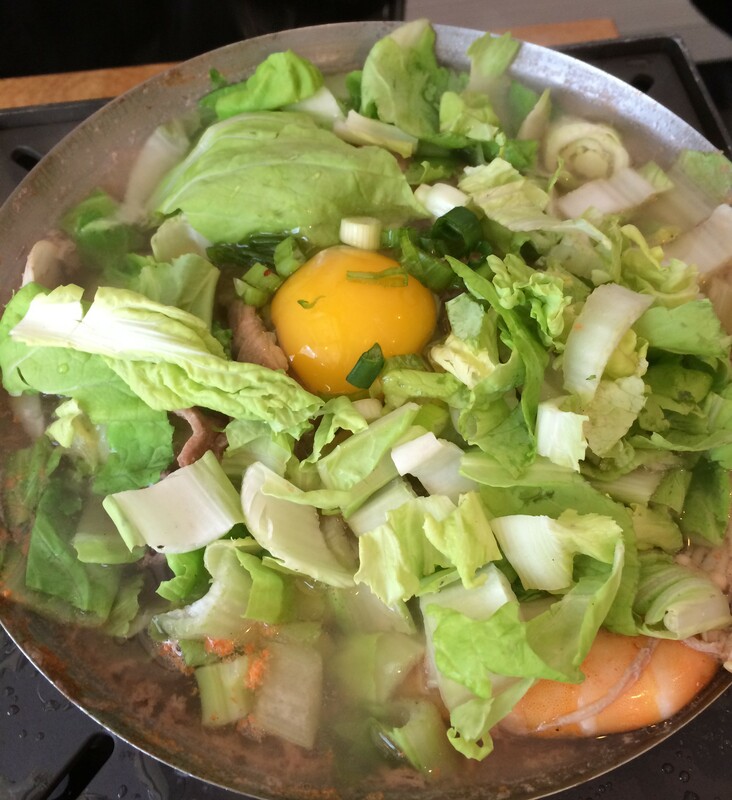 Japanese Miso Hot Pot. Nice flavor! Tomato Soup. Lots of veggies and also, still mild. Here is the House Special. The only one with Stinky Tofu. There are some real spicy ones, which I am not sure I am up to trying. But this is comfort food. You get rice with the Hot Pot, and you just dig in! 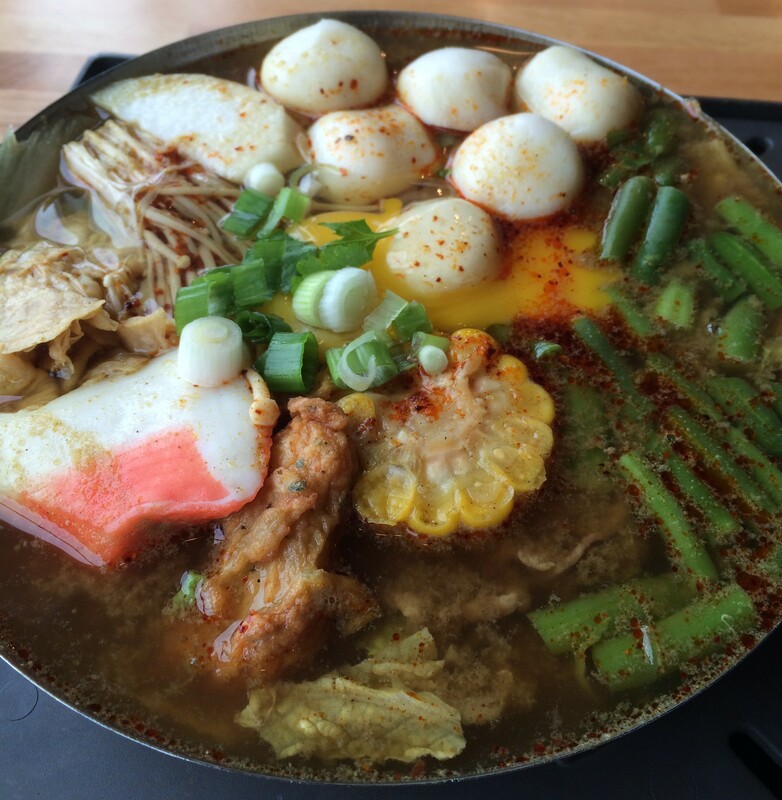 Posted in Chinese Food - Anything & Everything, Hot Pot, SeattleTagged Hot Pot, SeattleBookmark the permalink.